A solar eclipse ... as seen from space. This photo (via APOD, of course) was taken by a high-orbit satellite (Deep Space Climate Observatory). 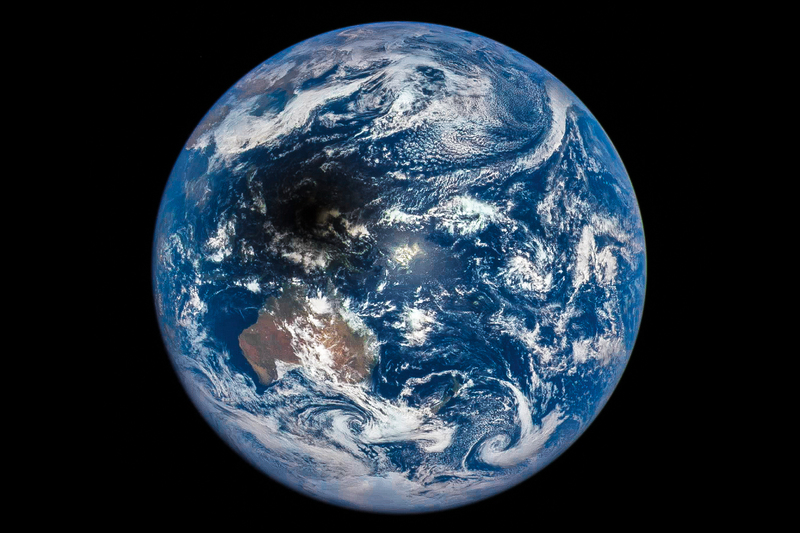 The dark spot in the upper left of the Earth's surface is the fuzzy shadow of the moon. In the center of that shadow, people were experiencing a total eclipse of the sun. In the fuzzy edges, a partial eclipse. Click on the thumbnail to embiggen.